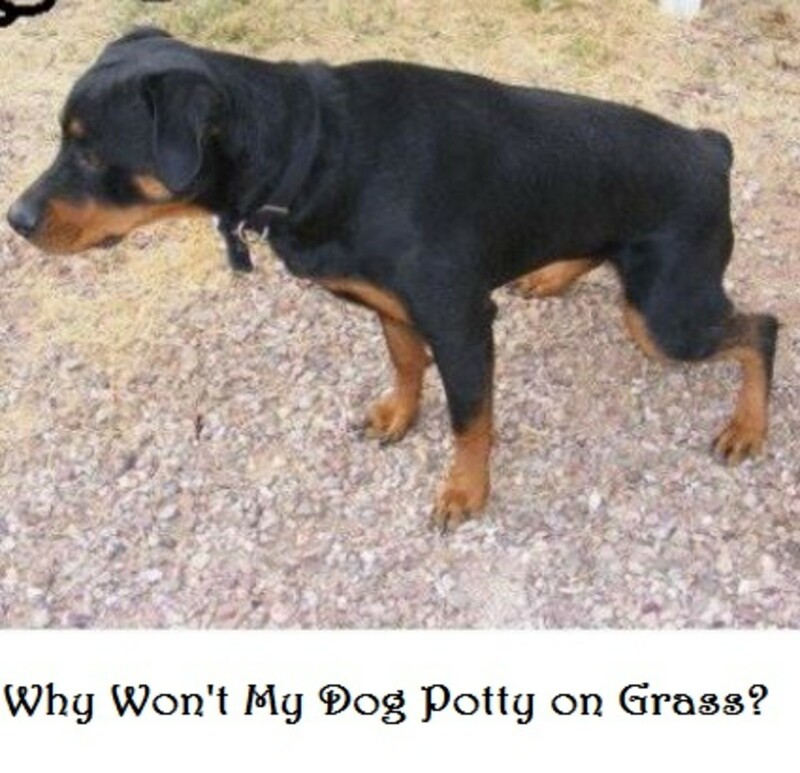 For us humans, using the restroom is just that, a way to eliminate earlier meals and make room for more, but from a dog’s perspective, going potty entails much more, so much more that some dogs are “picky poopers” and some others won’t potty on the grass or other surfaces. Why is that? We might assume that our dogs are being particularly stubborn or fastidious about their potty areas, but sometimes it’s just a matter of substrate preference. Yes, dogs can indeed have preferences when it comes to potty areas, and it sometimes all boils down to how they were potty trained and introduced to potty areas when the dogs were pups. Many parents out there may remember how tough it was for their children to transition from the potty to the toilet. Indeed, some moms may recall the transition being almost as difficult as getting their child potty trained in the first place! To help their children out, these moms may have had to resort to some astute strategies such placing the potty next to the toilet or using a child-size toilet seat for the toilet. Puppies aren’t much different. Just like kids, they may have problems transitioning from going potty on one surface and then going potty on a totally different one. This is because puppies develop what’s called “substrate preference” which means they develop a preference for going potty on certain surfaces. This becomes a problem with puppies trained to go potty indoors on paper and then required to go potty in the yard on grass, dirt or gravel. According to Karen Overall, puppies tend to develop a substrate preference at around 8 and a half weeks of age. By this time frame, most puppies will have fully developed senses and good physical coordination, which puts them into the position of learning to use a preferred substrate. At this stage, it’s important for the puppy owner to provide guidance on which substrate to use, otherwise the puppy will develop a preference on his own and this may often not coincide with owner’s wishes. When a puppy is adopted from a pet store and the puppy is over 8 weeks, it’s important to pay attention to what substrate was being used while there. Many pet store puppies are kept on shredded newspaper so these puppies are forced to develop a preference for this substrate. Dogs in shelters instead may develop a preference for concrete floors. It’s important to keep these preference in mind when adopting these dogs and transitioning them to another substrate. So what should you do if you have a dog who needs some guidance on using a particular substrate? Fortunately, there are ways to help these dogs out. As always, patience and consistency goes a long way in helping these dogs out. Scolding the puppy, pushing the puppy’s nose in his mess, or smacking his bottom with a newspaper will do no good other than confusing the puppy and making him fearful of going potty in front of you. Avoid punishing your puppy when he eliminates on the wrong substrate. Verbal and physical corrections can lead to confusion, anxiety and fear. Not to mention, it can result in a puppy or dog who will potty behind their owner’s back because they have associated the presence of the owner with punishment. Make going potty on desired substrate areas easy, fun and rewarding while making going potty in other substrate areas, difficult, boring and close to impossible (courtesy of management and supervision). Leave feces in the substrate area you wish your dog to use. This can help reinforce in your dog’s mind that this is an appropriate area for going potty. Make sure that when your puppy or dog has an accident on the wrong surface you clean up those soiled areas with an enzyme-based cleaner that dissolves any traces of residual odors. To a dog, residual odors of previous accidents act as reminders of the past which may trigger them to urinate on them once again. While we use our eyes to locate a restroom, dogs use their noses. Don’t leave your puppy or dog unsupervised to potty in desired areas otherwise you’ll miss an important opportunity to reward him. What if you want your small puppy to potty on grass, but its cold, there is snow on the ground or your puppy is sick and you have no other choice that making him potty indoors? A good choice is investing in a grass box or grass potty patch, basically a grass litter box or grass pad just made for dogs. 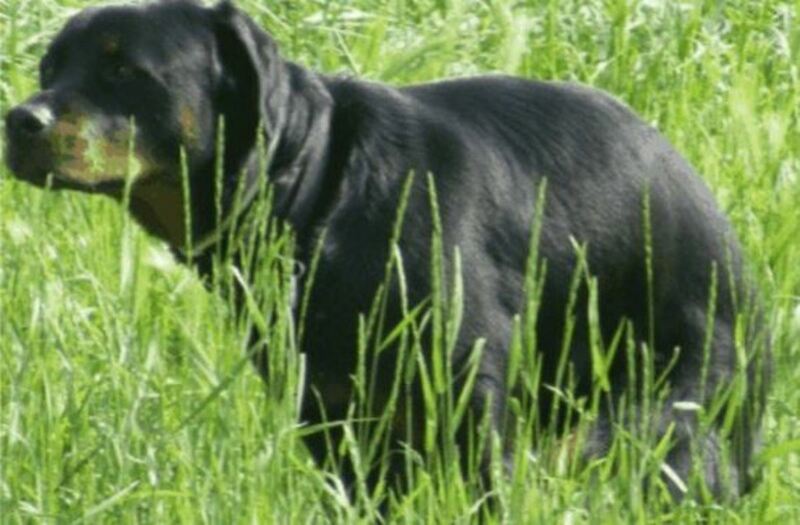 This should help your puppy when it’s time to transition to real outdoor grass. If your dog was used to potty on newspaper and now you want him to go outside on grass, try placing the newspaper gradually closer and closer to the door that leads outside. Then, help your dog generalize by moving it outside near the door and then finally closer and closer to the grassy area you wish to use. After a while, make the newspaper smaller and smaller by cutting it or folding it until you can remove it completely. Remember to always praise and reward for going potty on the newspaper despite these changes. If you are planning to potty train your puppy on newspaper, but later plan on having your dog potty in the yard on grass, consider that the process can be time consuming and labor-intensive, warns veterinary behaviorist Valerie V. Tynes. 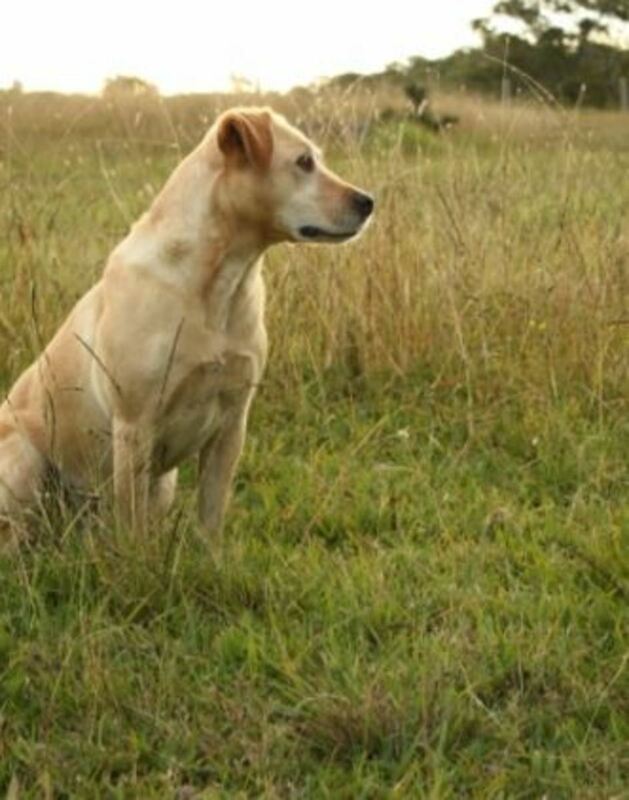 If your schedule permits, it’s best to teach your dog to go outside from the get-go. Remember that the goal for potty training a puppy or dog is to guide him on choosing the right substrate. By making going on potty on the right substrate fun and rewarding, your puppy or dog will eventually willingly choose to eliminate on that desired substrate rather than on your carpet or kitchen floor. If your dog won’t potty on wet grass, see this guide on how to train your dog to go potty in the rain. Where it the Bathroom Anyway? Courtesy of Mid-Atlantic Border Collie Rescue, retrieved from the web on July 7th, 2016. DVM360, Canine Housetraining Challenges, retrieved from the web on July 7th, 2016. DVM360, Canine housetraining, Part 3: Elimination training tips, retrieved from the web on July 7th, 2016. Dog Star Daily, Housetraining, retrieved from the web on July 7th, 2016.